Why interactive? Why not. The possibilities are endless with in house creatives and digital specialists who have the capability to eliminate limitation. Whether it be for information, service or experience, interactive digital signage can enhance engagement and elevate your brand. Many of your customers are ‘digital natives’ – those who have grown up with touch-friendly devices and assume everything can be swiped, pinched and zoomed. Give your customers the ability to browse, receive personalised offers, and engage with your brand by offering a touch-friendly experience with an interactive screen. A user-friendly touch screen interface provides customers the power to browse and search for items and services not readily available in store. Today’s consumers expect all the information and functionality they can find at their fingertips online to be available in their physical path to purchase. Increase sales, reduce costs and improve your customer’s experience by allowing your customers, employees or the public to interact directly with your business. With the ability to be integrated within an indoor or outdoor digital kiosk, interactive signage performs is at its best when placed in high foot traffic settings such as shopping centres, hotels, casinos or airports. The integration of technology allows the kiosks to perform a wide range of functions, including wayfinding, web browsing or self-service kiosks. Not only is the digital content customisable, but we can also ensure that the exterior design of the kiosks reflects your branding to fit seamlessly within its environment and will complement existing signage. 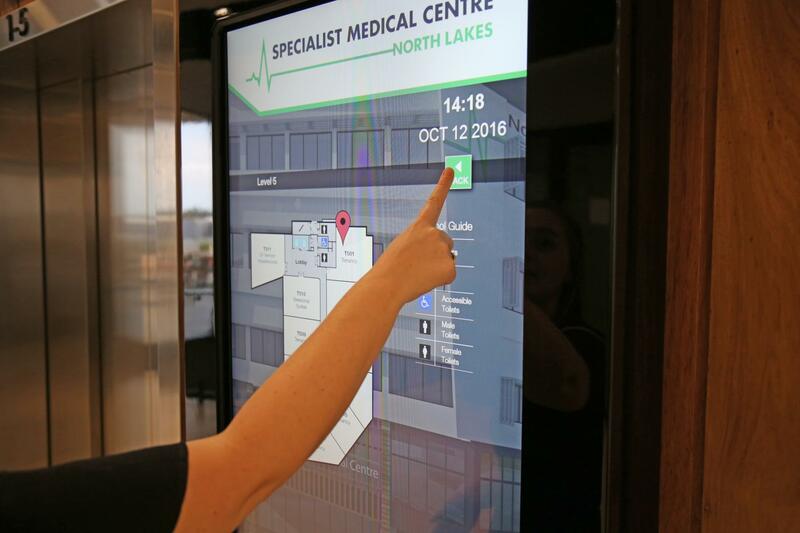 View our solution for North Lakes Specialist Medical Centre.